Streaming veteran Ian Rogers created the popular Beats 1 radio station. Former Beats Music CEO Ian Rogers joined Apple when the company bought Dr. Dre and Jimmy Iovine’s brainchild last year. He helped Cupertino launch its own streaming service, Apple Music, and spearheaded the popular Beats 1 live radio station. Now he’s done. The Financial Times reported Friday that Rogers resigned unexpectedly just two months after helping to launch Apple Music. But he’s not leaving to work for a streaming music rival—Rogers is going to work for a European company in an entirely different industry. The move is surprising. Rogers has worked in the digital music industry since the 1990s, first helping the Beastie Boys prepare their music for the 21st century, then moving on to Yahoo Music before leading digital music startup Topspin. In a blog post Rogers published just before Apple Music went live, he reminisced about his role in the evolution of streaming music and had fond words for Beats, “a human-curated, music-respecting service.” His exit from the industry he worked so hard to establish seems to come out of left field. Why this matters: Rogers was essential to the Apple Music leadership team. The digital music veteran wooed Zane Lowe away from BBC radio to build Beats 1, which is one of the few universally loved Apple Music features. 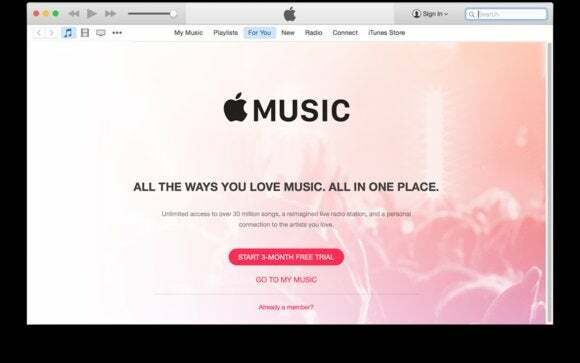 While Apple Music seems to be on solid ground with 11 million trial users, Rogers’ sudden departure isn’t exactly reassuring.